Rugged Ridge Complete XHD Aluminum Front Bumper with Winch for 2007-16 Jeep Wranglers JK All Models. 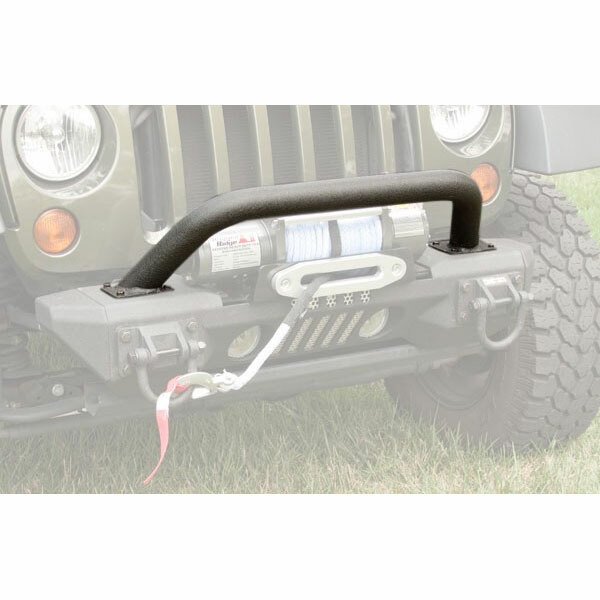 Complete Winch Mount Front XHD Aluminum Bumper - 11541.01, 11541.10,11541.14. - Aluminum XHD Bumper (Standard Configuration*): 26.9 lbs. - OE Plastic Bumper: 35.7 lbs. - Average Steel Off Road Bumper: 110+ lbs. 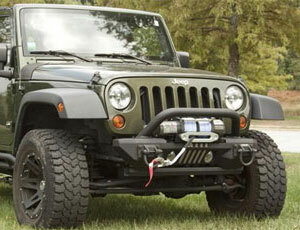 Wrangler XHD Aluminum Bumper is designed to be a whole new look while being extremely light weight. Save on fuel and the environment. The Wrangler Bumper is all Aluminum but uses the current steel XHD D-rings. Each bumper comes with a built in top filler plate. Each new XHD has cutouts and mounting points for the factory fog lights and a great looking “Jeep Style” front slat look that will make this bumper stand out. The XHD Aluminum bumper is approximately 80lbs+ lighter than the average steel off road bumper. Government studies show a fuel economy benefit of 2% for every 100lbs of weight savings. *Note: The Over-rider hoop, Stubby Ends & Winch Plate make the maximum overall weight of the bumper 62.6 lbs. 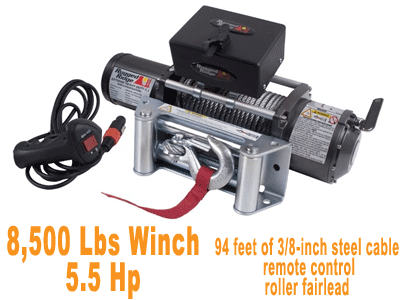 Rugged Ridge 8,500lbs Winch: This 8,500 lb winch from Rugged Ridge comes with 94 feet of 3/8-inch steel cable, a remote control, and a roller fairlead. Features 5.5HP series wound motor. All the exterior winch body screws and bolts are stainless steel to prevent rust and provide a long life. Special solenoid mounting brackets allow for multiple solenoid mounting points and the ability to tilt the solenoid for ease of use. 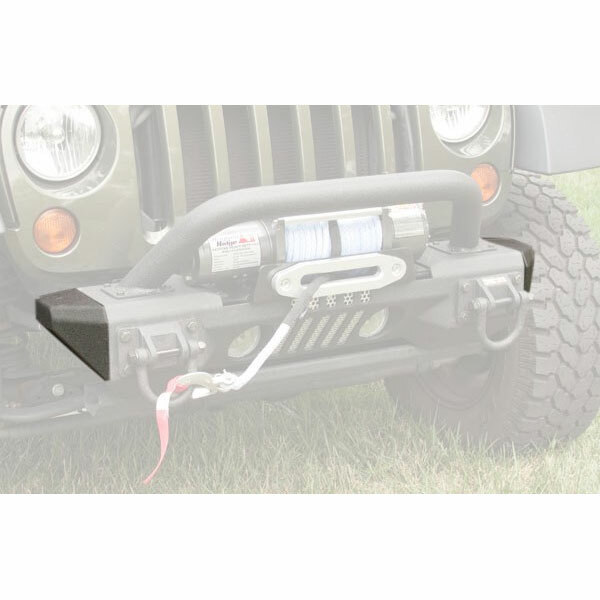 This tilt feature ensures that each Rugged Ridge winch can be used with almost all off-road bumpers and over riders! Comes with a limited 5-year warranty against manufacturing defects (1 Year on electrical). 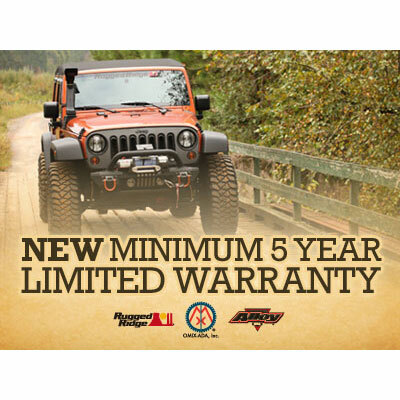 Each winch has been independently tested to ensure they meet or exceed all specifications.